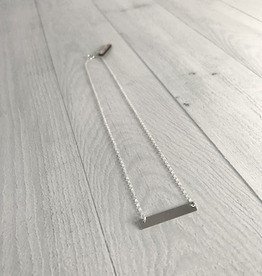 We love this basic piece for everyday and layered necklace looks! The shiny sterling silver bar measures 1.25" wide and the encklace measures 20" long. 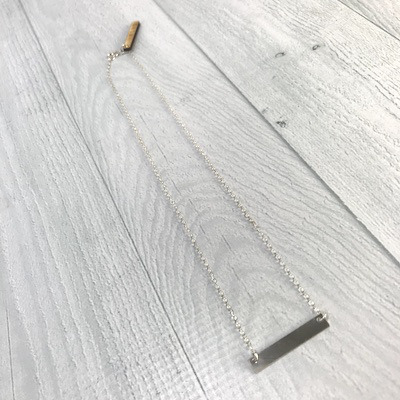 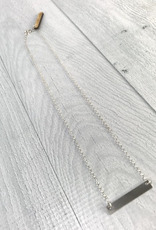 There are three lengths of this necklace available, 16", 18" and 20" All of our jewelry comes boxed and ribboned, ready for giving (or keeping)!